Hyderabad, Feb 26: Tollywood Young Sensation Vijay Deverakonda has filed a trademark infringement suit against e-commerce website Amazon for putting up Rowdy clothes on sale, the apparel brand Rowdy. From this aspect, the Bengaluru City Civil Court has issued an order to the e-commerce giant from passing off the goods. Vijay's Rowdywear Pvt. Ltd approached the Bengaluru City Civil Court stating the sale of his apparel by Amazon under the term 'generic'. 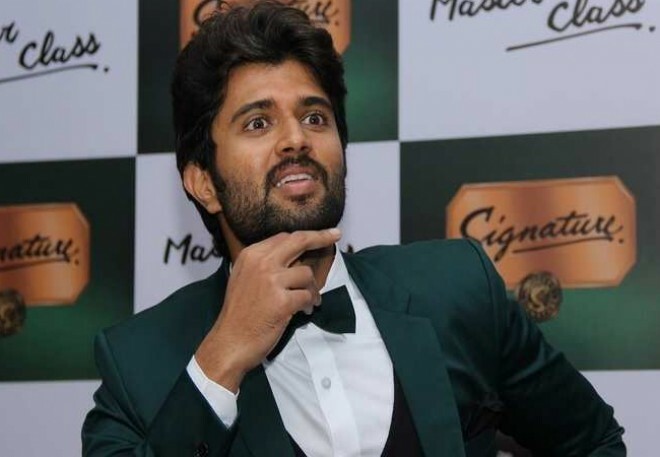 Vijay Deverakonda's brand further contended that the Amazon is violating the actor's publicity and privacy rights by using his images on their products unlawfully. The matter has been given in favour of Vijay, who was assisted by Spectrum Legal led by Partner Chintan Chinnappa. The next hearing would be on March 29.